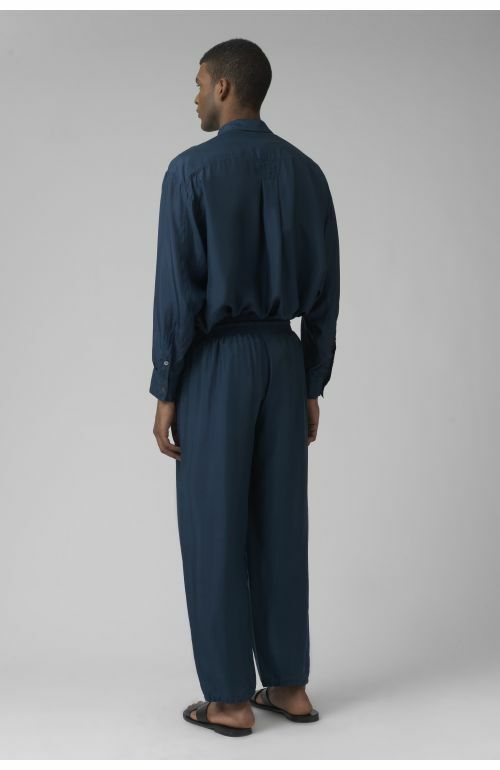 Ace navy organic cotton trousers by Katharine Hamnett London featuring signature button fly. 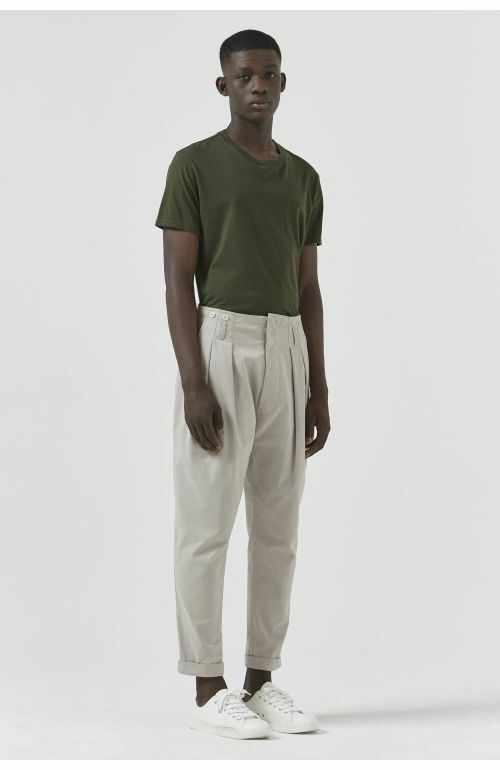 Deep pleated front tapering to narrow hem with turn-ups. Slant pockets with feature internal condom pocket. Butterfly back with brace buttons and belt loops at back and front. Reinforced rise and back waist facing.